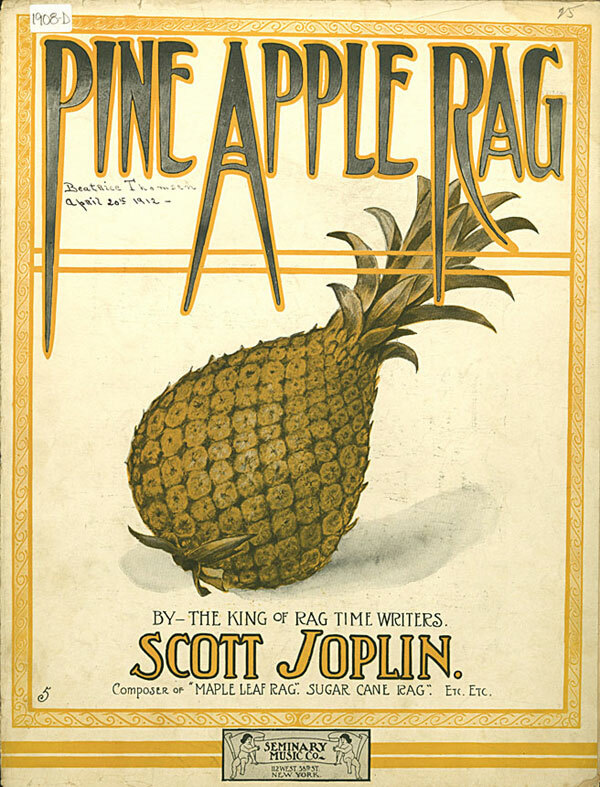 Pine-apple Rag (1908): The third theme of this rag has the vocal quality that probably suggested its future use as a song; otherwise a strange choice. It is not particularly distinctive except for a joyful and very ragged second theme but is well enough constructed and substantial. “Not particularly distinctive,” my eye! The mere mention of that most noble of bromeliads in the title elevates the song above all of Mr. Joplin’s other botanically-themed rags: Maple Leaf Rag, Sugar Cane Rag, Sunflower Slow Rag, Palm Leaf Rag, Gladiolus Rag, Rose Leaf Rag, and Fig Leaf Rag. 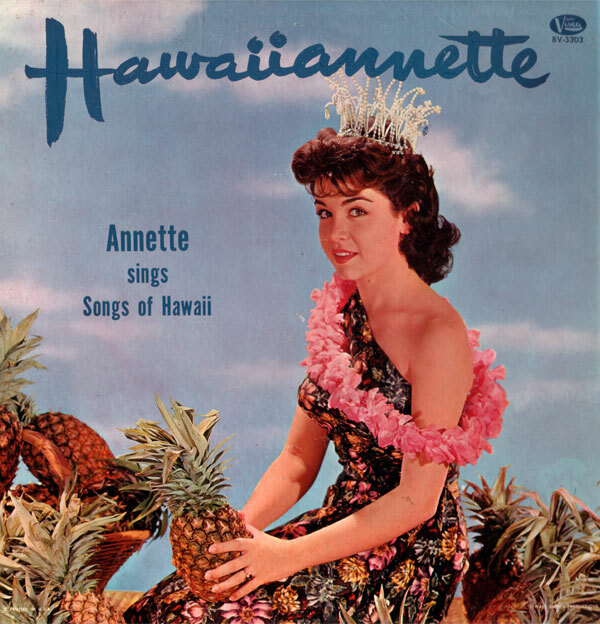 It could be argued that without “Pineapple Princess,” from Annette Funicello’s 1960 album Hawaiiannette, there would never have been “A Spoonful of Sugar,” a “Supercalifragilisticexpialidocious,” or a “Jolly Holiday” with or without Mary. The Sherman brothers, Richard and Robert, were relatively unknown songwriters when they teamed up with Annette Funicello in 1958. 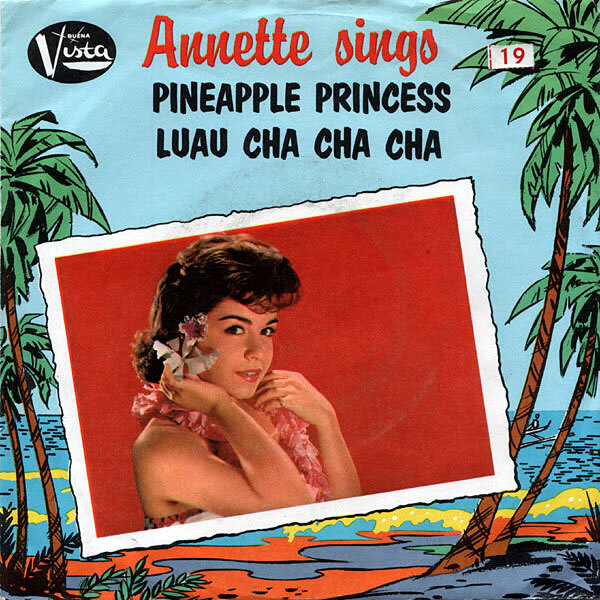 While their first hit with Annette was “Tall Paul,” co-written with Bob Roberts (no, not that Bob Roberts ), it was their 1960 hit “Pineapple Princess,” recorded by Annette and The Afterbeats, that reached #11 on the pop charts and established them solidly in the wonderful world of Disney. After writing songs for both The Parent Trap (1961) and Summer Magic (1963) they were approached by Walt Disney to write the songs and the score for Mary Poppins (1964) and the rest is history. They won Oscars for both “Best Musical Score” and “Best Song” (for “Chim Chim Cher-ee”), won the grammy for “Best Original Score Written for a Motion Picture or Television Show,” and helped make Julie Andrews a movie star. I hope that, at the very least, Ms. Andrews sent The Afterbeats a fruit basket as a token of her apprecation. On the hill above the bay. You’re the sweetest girl I’ve seen. Floatin’ down the bay on a crocodile. And I knew he’d be mine forevermore. He even sings to me on his water skis. He sang and played his ukulele, too. And he will be my own little coconut. Lately, there have been a number of people who have told me that they feel that my ex-wife and I have fashioned a “very good divorce” for ourselves. What they don’t seem to understand is that a finely-crafted set of prosthetics doesn’t do much to make up for the fact that you will never walk again, you’re still experiencing excruciating phantom pain in your missing extremities, and without any proper training and using only blunt tools, you had to carve your own prosthetic legs out of the wood of the very tree that crushed your legs in the first place. 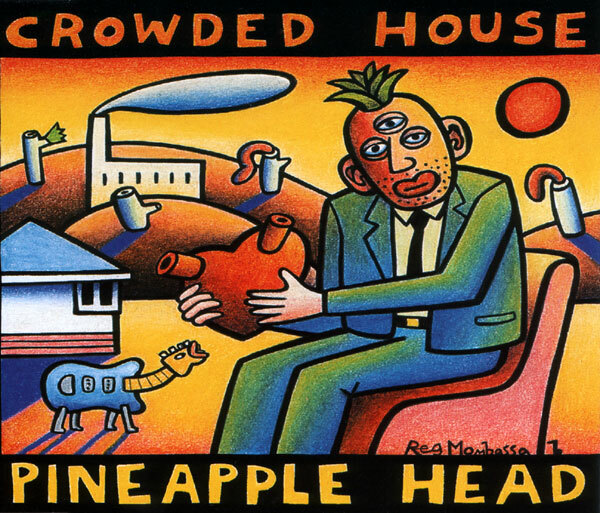 “Pineapple Head,” written by Neil Finn, was included on Crowded House’s 1993 album Together Alone . The image on the left is from the cover of the CD single of “Pineapple Head” that was available in the U.K. and Australia. Neil Finn talked about the origins of the song in an interview with David Hepworth in the June 1994 issue of Mojo Magazine. Would you come to make me pay? To give you a little background, she was on her way to Training Table, a local restaurant, with Emma and their Mom and she was calling to invite me to come along. 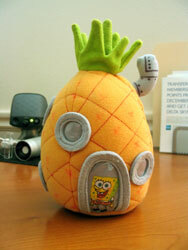 She also wanted me to know that she’d won a small, stuffed SpongeBob Squarepants pineapple at a local amusement park the previous day and wanted me to have it for my collection.